Brian Bilcher, 37, was “Captain America” to his wife, and “Tugboat” to his brothers at Squad 1. His first child, a son, was born on August 29th, just two weeks before 9/11. A 10-year veteran, Bilcher played guard on the FDNY football team, and loved riding his motorcycle. Don’t know for sure, but I’m guessing it was a Harley. His funeral services were held on what would have been his second wedding anniversary. 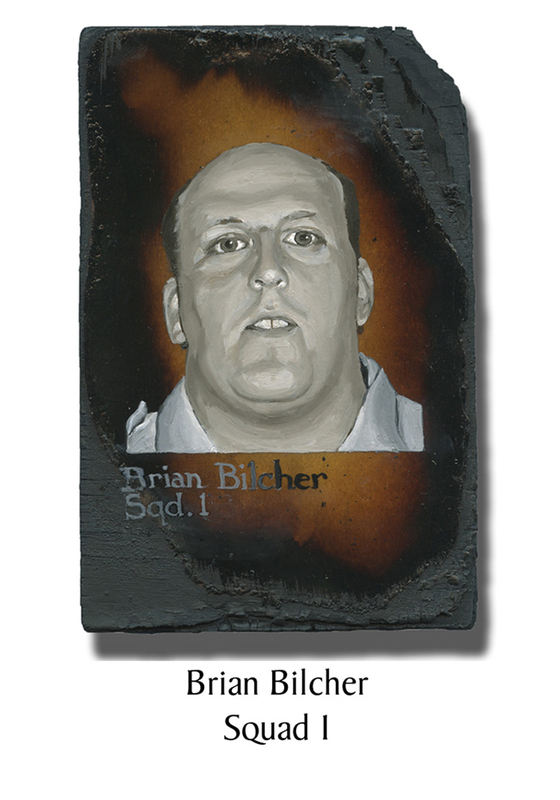 This entry was posted in Better Angels Stories and tagged 343, 9/11, better angels, Brian Bilcher, Dawn Siebel, FDNY, firefighter, firefighters, firefighters of 9/11, LODD, Manhattan, memorial, NFFF, paintings, portraits, Squad One, World Trade Center, WTC. Bookmark the permalink.